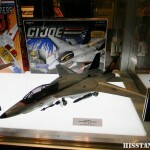 Greetings fellow Toyark’ers, we’ve got the answers for the 2nd round of Hasbro 2011 GI Joe Q&A! This batch of answers reveals the fate of the venerable Tomahawk(R.I.P. ), and enlightens us on the upcoming Sky Striker XP21F! 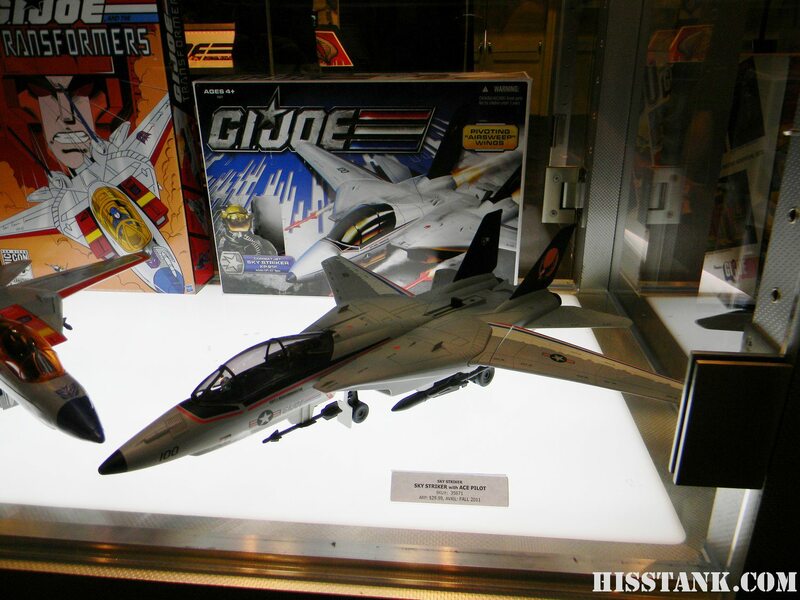 1) During the last round of GI Joe Q&A, you confirmed that the WHALE mold was lost/destroyed. Is the Tomahawk mold gone for good too? It was arguably the most popular GI Joe helicopter ever made. A) Sadly the original TOMAHAWK mold is lost/destroyed. It’s a big shame considering its one of our childhood favorites too. 2) At JoeCon 2011 fans finally learned that the wings and landing gear of the Sky Striker were still interconnected like the original. A lot of fans were hoping that the wings would be able to sweep without retracting the landing gear. While this is not a deal breaker, why was the interconnected wing sweep/landing gear retraction function retained in lieu of keeping them separate? A) The goal of the SKYSTRIKER 30th anniversary design was to re-create the SKYSTRIKER as closely as we could to the original. The cockpit design had to be revise to accomidate the larger sized figures. The wings needed to be detachable to meet new safety standards and to help with packaging. The rest of the plane was left to be as much of a replica as the original, landing gear linkage included. 3) While most fans do appreciate the increased cockpit detail in the Sky Striker XP-21F, they still crave a 2 seater. Has a 2 seat Sky Striker XP-21F, at the cost of substantially less cockpit detail/tooling, ever been taken into consideration, possibly for future releases or perhaps a running change? A) The two seater was indeed considered, however, it would have been very very difficult to fit the second pilot in the cockpit. Luckily, the new cockpit is indeed modular and a new, two seater cockpit could be designer at a future date to accomidate two (albiet, very awkward) seated pilots. Currently, there are no plans to revise this design. So what do you think folks, do you want a 2 seater Sky Striker?! Chime in, let us know, make your voices heard! LEGO Master Builder Level One Now Shipping. Check out some in-hand pics of the 20200 LEGO Kit. Nice. Been looking forward to these. Need to get the subscription! Kit 2 Microbuild Designer: Learn about scaling the size of your models and building with the smallest LEGO elements as you get a giant introduction to microscale building! Kit 3 Robot Designer: Enter the action-packed world of robots and mecha while discovering the techniques of styling and balance! Kit 4 Flight Designer: The advanced building techniques of shape and stability will help you navigate the world of flying vehicles! Kit 5 Creature Designer: Let your inner LEGO designer loose as you practice the techniques of detailed styling and color with monster and alien models! Kit 6 Auto Designer: Put all the skills and techniques you've learned to the test as you discover how to build, design and customize anything on wheels! Includes 1 LEGO MBA kit delivered every two months, for 10 months: 5 kits in total. Each kit includes one 84-page Designer Handbook teaching 2 LEGO MBA techniques, building instructions to build 3 models, one at a time, and exclusive minifigures and accessories. Dan did you ever get you set? The LEGO MBA GALLERY- KIT 1 has just gone live. Kit 2 has arrived at my house.